What would it take to capture the heart of one of the most famous and beautiful women of the Twentieth century, the actress Marlene Dietrich? Incomparable wealth, or matinee-idol looks? The French actor Jean Gabin had neither, but he did have what tailoring expert Michael Alden has called “nuclear levels of presence”. Like Fred Astaire, who’s clothes seem to exude the charm he’s said to have possessed, so Gabin’s incomparable suits seem to be a manifestation of his charisma. Until World War Two Gabin, who was born into a family of performers, portrayed working class characters, most notably in film director Jean Renoir’s 1937 masterpiece, La Grande Illusion. 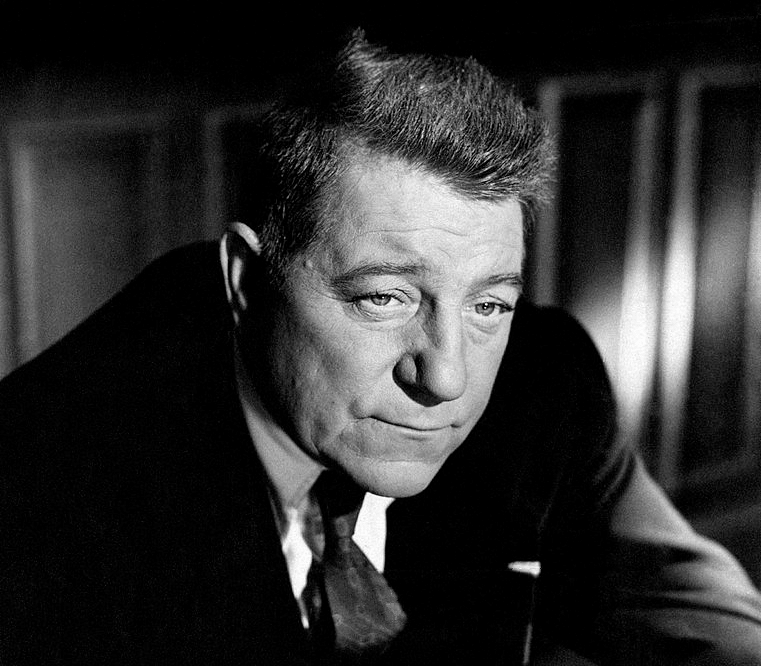 Despite the film’s anti-war sentiment Gabin joined General De Gaulle’s Free French Forces, with who he fought in North Africa with such distinction that he was decorated twice. While he was photographed in many stylish casual outfits during his life no shot is more impressive than the one that captures Gabin standing next to Dietrich immediately after the liberation of Paris in 1944. Both are wearing army fatigues, but then Gabin had just arrived in the tank that he commanded. For a decade after the war Gabin’s career was in the balance, thanks to his difficult reputation. However, he was reborn when cast by Jacques Becker in 1954’s Touchez Pas Au Grisbi. In the film he wears beautifully cut double-breasted suits with soft, slightly extended shoulders, roped sleeve-heads and small armholes, but equally important is the elegant manner in which his character behaves. His character is a connoisseur of wine and food, and changes from one suit to another for dinner; we have a great deal to learn from Gabin. 1. Charisma and style are the keys to success with beautiful women. 2. It’s possible to be superbly dressed regardless of your body shape. 3. There’s nothing smarter than wearing a dark suit in the evening.